We are a group that is dedicated in finding the best chibi art work out there! We also let deviants feature their commission journals and deviation advertisements so people can order adorable chibi art from people of our community! We also accept entries in advertising your contests, give aways and kiribans! We also accept tutorials! We could like to make this into a super group so please send any points donation amounts to EmeraldAngelStudio Make sure you state that it is a donation for the Group. We are a group that is dedicated in finding the best chibi art work out there! We also let deviants feature their commission journals and deviation advertisements so people can order adorable chibi art from people of our community! We also accept entries in advertising your contests, give aways and kiribans! We also accept tutorials to help the community! You do not need to ask to join. Simply just click the 'Join Group' button above and submit your lovely artwork~! All levels of chibi artwork is accepted but keep in mind you need to pick your best works! Yes furry and any type of couples are allowed as long as it meets the other guidelines below and that they are in chibi format. If you draw just animals make sure they look like 'chibis'. If a folder appears to be 'full', simply note the group to let us know! 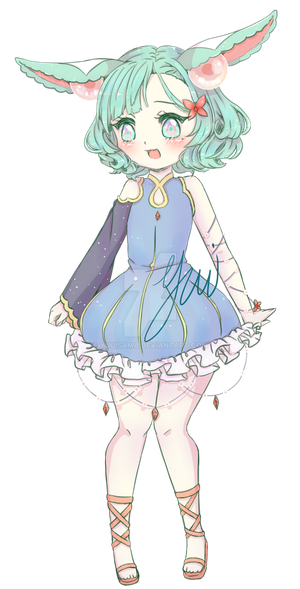 We do not accept adoptables even if they are closed or bought auctions, traced content, sketches, doll bases, or dolls that were created using bases. Do not upload anything that maybe offensive to other members. Mature content is allowed as long as it is marked as mature content PLEASE. Be respectful to all members and deviants. Breaking this rule is subject to vote and ban. We do not appreciate art theft. Period. Do not upload other peoples artworks that are not yours. Even if it was a commission you ordered from someone do not upload it. You can upload art that you have created for other individuals though such as drawing their OCs and such. You are more than welcome to advertise on our front page Once A Day do not spam or you will be banned. You can also suggest a categories! Featured DO NOT SUBMIT IN HERE! I will pick the best art work every week that will be featured in this folder. If you somehow do, it will be moved out of the folder and placed into the proper folders. Commissions Only artwork that was paid to be made goes in here, gifts art trades etc do not go in here. Fan Art Even if your artwork is related to any of the folder below, no matter what please submit any type of fanart in this folder. Tutorials - Informational pieces that help people learn how to draw chibis. Whether it is anatomy, clothes, coloring styles, pixel art etc. Digital - For submitting works of art that was created on the computer. Line Arts are allowed here as well. Traditional - For submitting work of art that was created by hand using various utensils in drawing. Linearts are allowed here as well. Mixed Media - if you Sketched out your artwork traditionally and you colored it digitally or the other way around you submit here. Animated - For art pieces that were either created digitally or traditionally that have some animation feature to the art piece. Pixel - For art that was created using small pixels. This includes icons and other media. Paper Children - For art that was created either digitally or traditionally and was hand cut and posed using a camera. Please take decent quality photos. Crafts - For art that was created with craft ideas such as perler bead sprites, clay models, jewelry, anything really related to that subject goes here. Freebies - This is mainly for free items people can share to one another like free to use Icons, pixel artwork to use for your profile etc. Be sure to read the artists rules before using their art pieces for what they are intended for! No bases or doll bases! G: Stef, Happy Valentine's Day! EDIT: Prices and styles have been changed slightly. Ive been on and off of DA many times now ;-; and i'm glad you guy stuck around! I'm reaching my 400th watchers milestone! Mar 10, 2013 Welcome to Chibi-Supreme! We have recently been getting several beautiful art pieces that are in the form of a commission. - Gifts, art trades etc do not go in here.